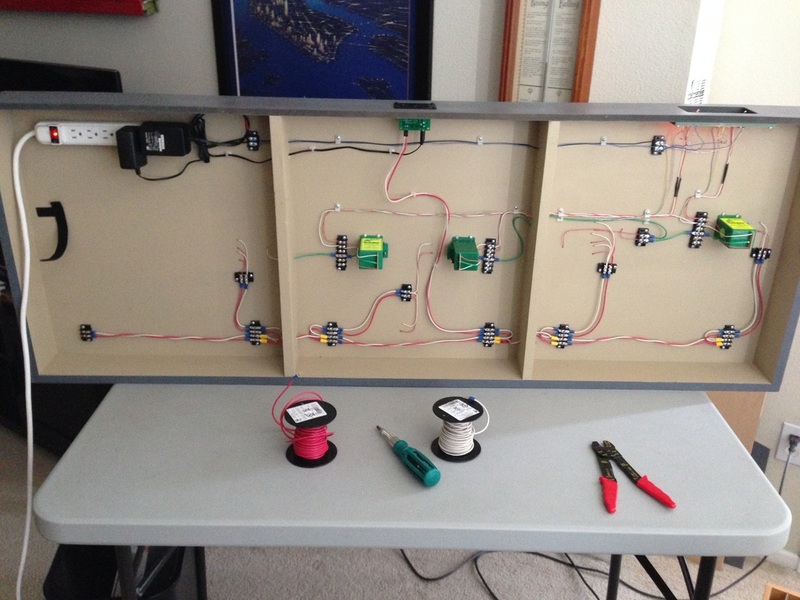 At this point, it was time to wire the turnout controls and wire the track for DCC. 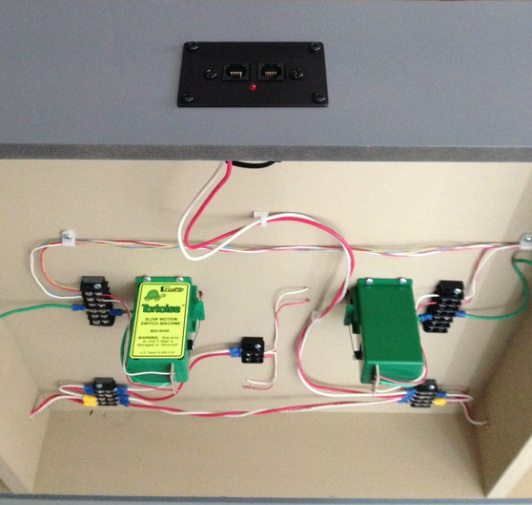 A 12V transformer feeds the control panel LEDs and Tortoise machines. 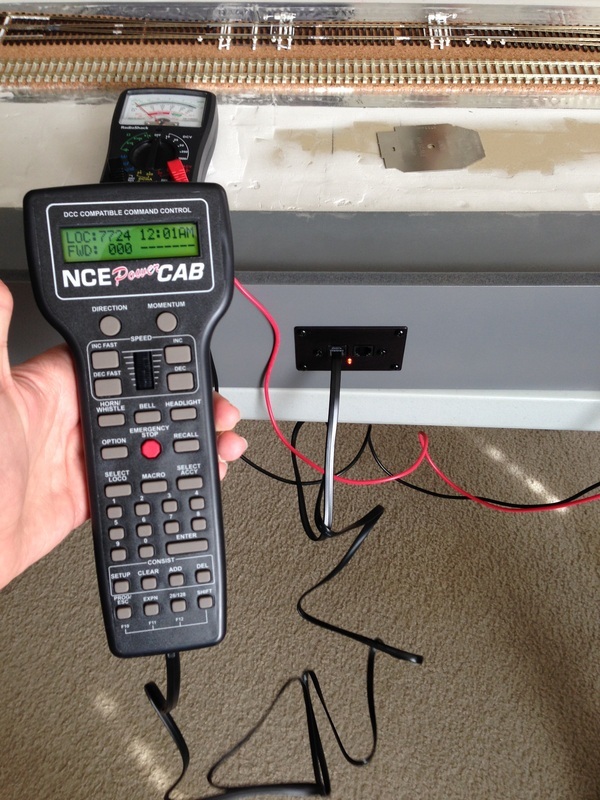 As for DCC, I am using an NCE power cab. 14 AWG wire was run from the PCP panel to all the bus terminals. Feeder wires from the track attach to the bus in the shortest amount of distance possible. 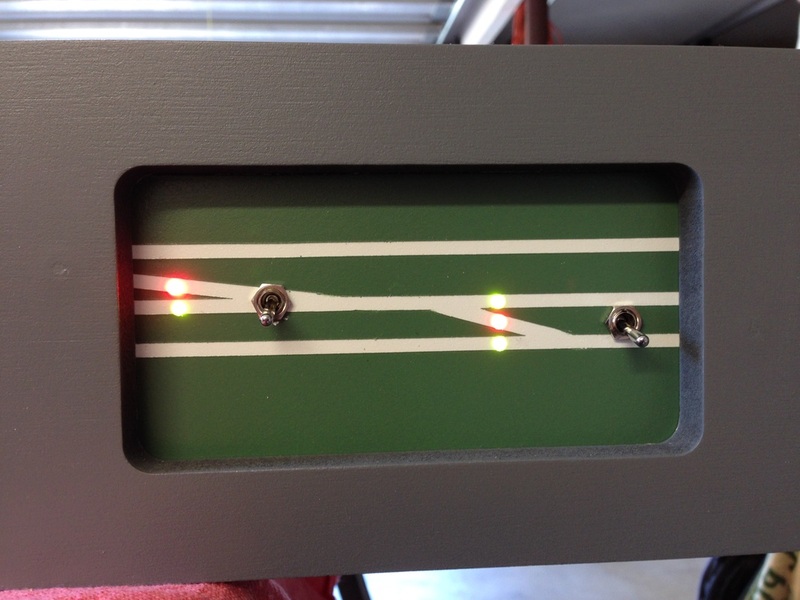 The frog polarity is controlled by the internal switch of the Tortoise motors. At this point, the track work was complete and all the electrical was finished. Both the electrical and track was tested with a variety of equipment to ensure that there were no issues before moving forward. Next step, track painting and weathering.